This week, our students have got their holiday, while us, the teachers, still have to come to school and do some school stuff. One of it is training for teachers. It is Hypno-teaching training, presented by pulpen, an association who care about Indonesian education. It was fun! Well… I believe we can create similar environment for our students later in the classroom. Al Irsyad Satya will be better and keep developing. Game to train focus and be a good member of the team. Fun! 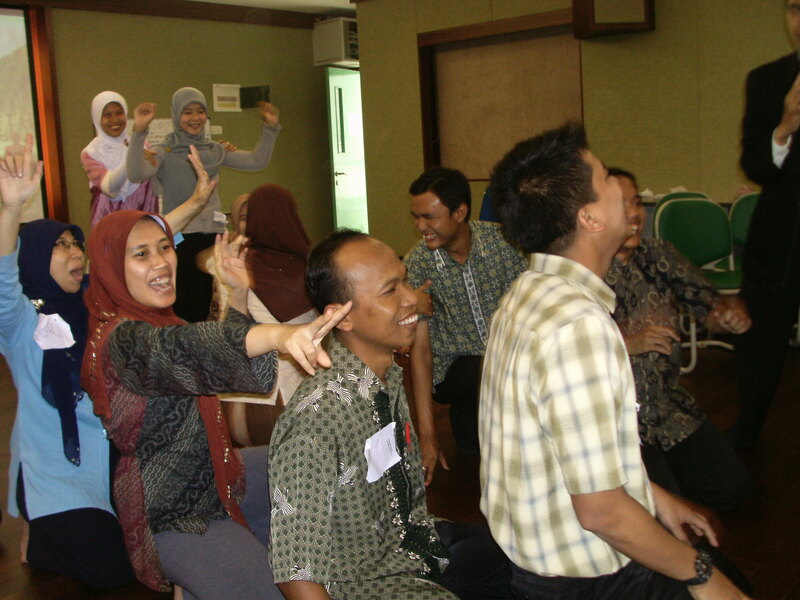 Let the class members feel the energy, the lively spirit, and be better on learning and teaching process. Yes, the teachers have to learn too, every single day. But learning in a fun way, accommodate every learning style, it’ll be great. Yes, we all can, Irsyadians! Insya Allah. This entry was posted in School Event and tagged Al Irsyad Satya, fun, hypno-teaching, Irsyadian, learning, pulpen, teacher, training. Bookmark the permalink.